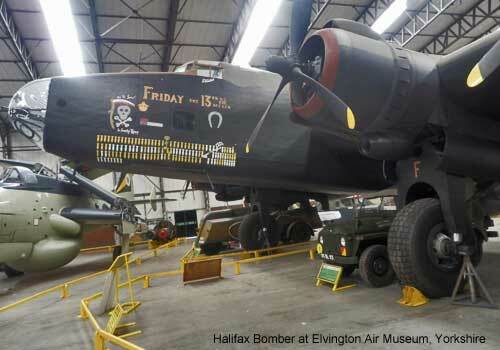 The Halifax four engined heavy bomber was designed by Handley Page, over 2000 were built at Preston / Samlesbury. A total of just over 6000 were built during the war and there were 7 variants, Mk1 to MkVII. With the engine power increasing from 1200hp to 1800hp per engine. It was capable of 280mph and a range of 1800miles. There are 2 still in existance; at Yorkshire Air Museum and at the Canadian Memorial Museum in Ontario. Some 2500 of these were built at the Preston factories and flying from Samlesbury out of a total of approx 6200. Prior to the Halifax there were 770 Hampdens built at Preston / Samlesbury, just over half the total build of 1430. The Hampden was first flown in 1936, entered the RAF in 1940 and flew its first mission in 1941. Production finished in 1941.